Whether its army fatigues or combat trousers, vintage work wear is so relaxing and worn with the right accessories can create a truly striking look. If you love the look of utility vintage work clothes and wear them for what it was intended for – or you just like wearing it for fun, then you’ll find our selection here at Blue17 truly awe inspiring. We have an original range of work apparel for men that comes from every decade, through to 80s and 90s. 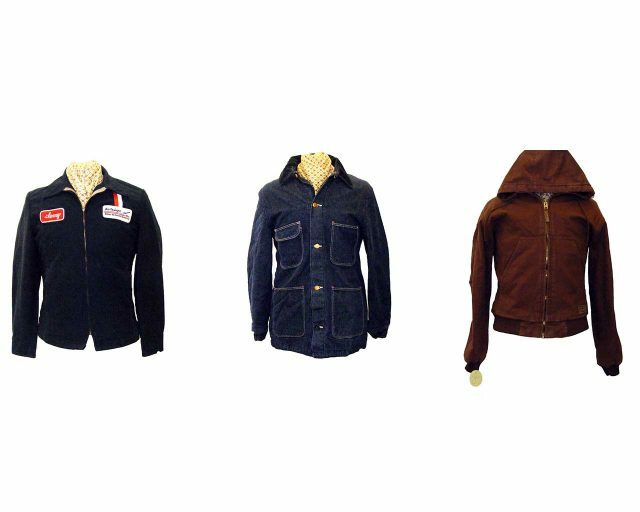 We’re talking distressed men’s work boots, donkey jackets, bomber jackets vintage denim work wear and western work boots. As you know vintage is always best, that’s how you found your way here, and that’s because the real thing is always best, especially if it’s from its original decade. The devil’s in the detail and that’s what we’re talking when we look at vintage work clothing, it’s better, it’s original, exclusive and it’s well made. It can create really dynamic looks, and if that’s what you’re looking for then take a look and get yourself some classy vintage workwear today.